Many hunters choose to hunt with archery equipment because of the additional challenge it creates, as well as to take advantage of archery-only hunting seasons that are often longer or occur earlier in the year than rifle seasons in many regions. 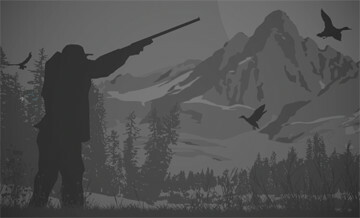 Bow hunters must restrict their shots to a range of 45 yards or less in most cases, depending on the hunter’s ability and equipment. Because of this limitation, bow hunters are often treated to close-range interactions with the animals they pursue, which makes this type of hunting especially interesting and exciting. 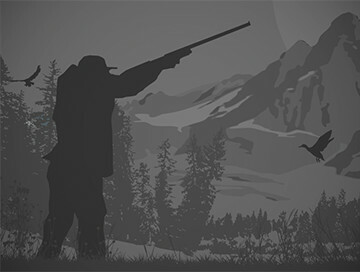 Bow hunters sometimes stalk or still-hunt, but in the majority of cases they hunt from a natural or man-made ground blind or tree stand, usually waiting near an animal’s known travel route. Calling and rattling is often an effective technique for species such as deer and elk in the rut. In the United States, deer and elk are the most popular species pursued by bow hunters, followed by black bears. Bow hunting equipment runs the gamut from traditional longbows and recurve bows to modern compound bows, which use a system of cams and pulleys to allow an archer to hold the bow at full draw for a longer period of time. Crossbows are also used in some areas. Different jurisdictions vary widely on what types of archery equipment are allowed for hunting, so it’s important to consult local regulations. A bow with a draw weight of 35 pounds is usually considered the minimum for bow hunting big game, and larger game such as elk or kudu may require a hunter to use a bow with 50 pounds or more of draw weight.